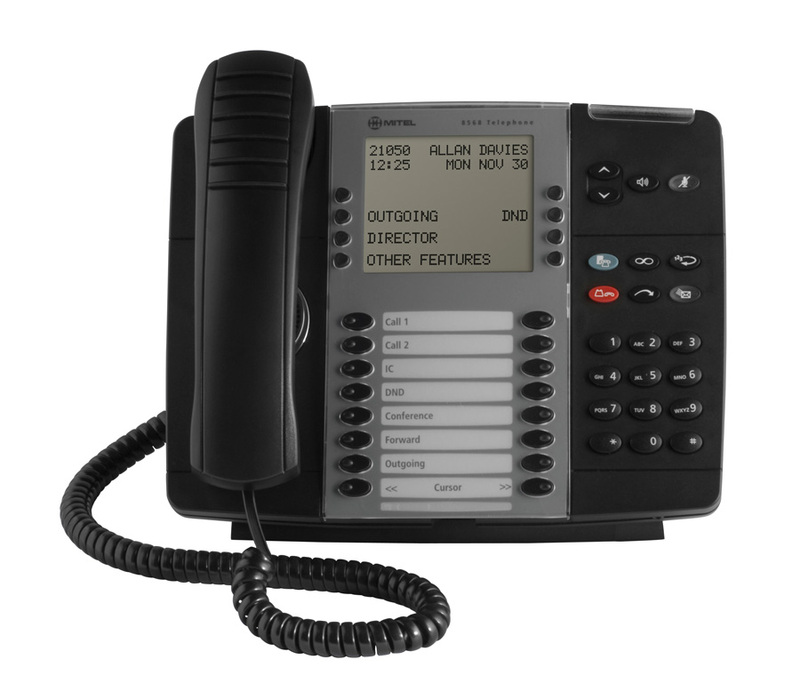 The full-featured and scalable Mitel 8568 Telephone is the perfect solution for demanding users. 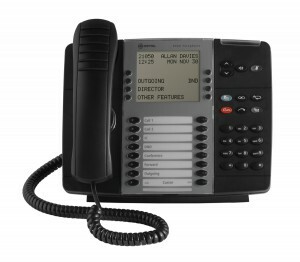 The Mitel® 8568 Telephone is perfect for users requiring efficient call processing capabilities from the Mitel MiVoice Office 250 Communications Platform (CP).This powerful, ergonomically designed digital telephone features a six-line by 16-character display with eight menu-driven soft keys, which intuitively guide users through system features and capabilities. Sixteen programmable multi-function keys and 10 fixed function keys can be customized for one-touch access to the most commonly used telephony functions and settings. A built-in jack allows headsets to be attached to the phone without interfering with handset operation. The 8568 Telephone supports both the Mitel Programmable Key Module (PKM) 12 and the Mitel Programmable Key Module (PKM) 48 for additional programmable keys and DSS / BLF functionality. ■… and many more features and capabilities!